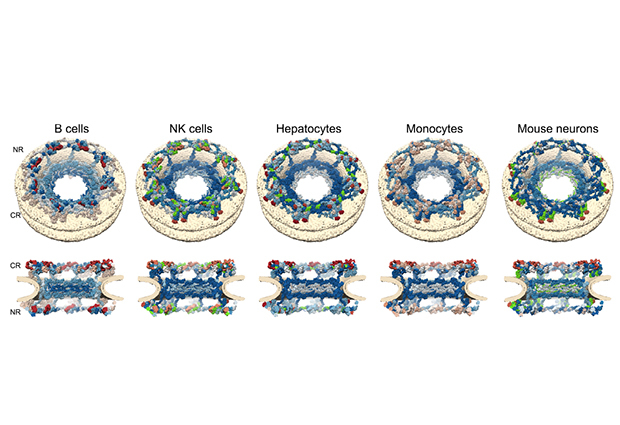 Architecture dependent turnover of the nuclear pore subunits. Top row shows the nuclear pore subunits seen from top, bottom row shows subunits of the nuclear pore cut in half. IMAGE: Jan Kosinski/EMBL. Proteins perform countless functions in the cell, including transporting molecules, speeding up metabolic reactions and forming structural parts of the cell such as the nuclear pore complex. Protein turnover is a measure of the difference between protein synthesis and protein degradation and it is an important indicator of a cell’s activity in health and disease. EMBL group leaders Mikhail Savitski and Martin Beck, in close collaboration with Cellzome scientists Marcus Bantscheff and Toby Mathieson, have improved the accuracy of the detection of small changes in protein turnover by developing a better algorithmic treatment of raw mass spectrometry data. As a result, the researchers have published a turnover catalogue of 9699 unique proteins in Nature Communications. The paper focuses on protein complexes and demonstrates that subunits of protein complexes have consistent turnover rates. We wanted to study protein homeostasis, or the balanced process behind protein synthesis and degradation in primary cells extracted from blood or living tissue. Primary cells provide a better understanding of the in vivo situation than cultured cells but, unfortunately, they have a short lifespan when compared to the protein complexes we wanted to study. To overcome this problem, we developed a better algorithmic treatment of raw mass spectrometry data. The improved algorithm accurately determines very small changes in proteins, allowing us to measure the turnover of 9699 unique proteins, including very long-lived proteins, such as the Histone H1.2 protein which has a half-life of 2242 hours. 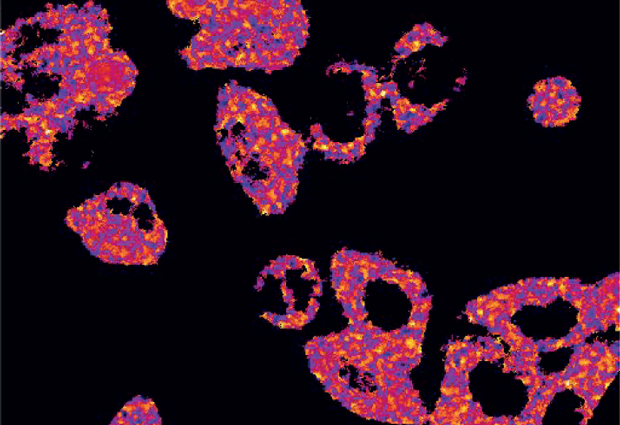 For the first time, we have a view of protein turnover at a cellular scale in several primary cell types, which will be a valuable resource for the scientific community. We focused our analysis on protein complexes, particularly on the nuclear pore complex, which is very big and is composed of several sub-complexes. 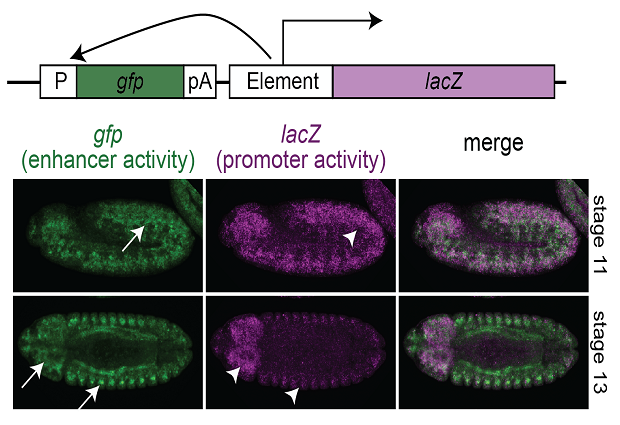 We discovered that there are protein turnover levels that are specific to a given sub-complex. Proteins which are peripheral to the complex, that joined later in evolution, turn out to have much faster turnover than the ones that form the core structure and have been there for a longer time. Contrary to previous understanding, our data clearly suggests that there is a turnover mechanism for the nuclear pore in non-dividing cells. This is exciting because it opens new research in this direction. Why is understanding protein turnover important? Protein turnover is important for understanding cellular homeostasis. Our work delineates the tools to study the mechanisms controlling it and will help researchers study a wide range of things, such as ageing, brain function, cancer and neurodegeneration. Systematic analysis of protein turnover in primary cells, Nature Communications. Keeping bacterial chromosomes tangled could offer hope in developing novel approaches to treating bacterial infections. Growing levels of antibiotic resistance pose a serious threat to global public health and scientists are racing to find novel ways to tackle bacterial infections. EMBL’s Orsolya Barabas explains a recent study by her lab on how bacteria untangle their chromosomes during division, and the hope that this opens for developing new antibacterial treatments. 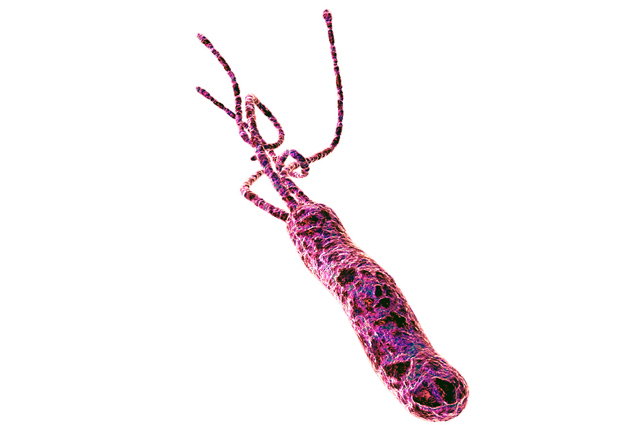 A bacterium’s DNA is in a ring-shaped chromosome. When the bacterium divides to produce two daughter cells, the DNA has to be repackaged into two rings, one for each new cell. The DNA in the two daughter rings often gets tangled. If those chromosome rings cannot be untangled, the two daughter cells cannot separate from each other and the bacteria will ultimately die. Most bacteria have a protein that cuts any DNA tangled during cell division and sticks it back together as two distinct daughter chromosomes. We discovered that this protein doesn’t start cutting as soon as it binds to DNA. First, another protein has to activate it by changing its shape. This means one could look at designing drugs to interfere with that activation process. And that’s really good news because the alternative – preventing proteins from binding to DNA – is very difficult. At the moment, it seems like for every antibiotic we have, there’s at least one bacterium that’s resistant to it. This means common infectious diseases are getting harder to treat and procedures that we routinely use today such as organ transplants, chemotherapy, surgery and diabetes management could become very risky. If we’re going to overcome that, we need to look at new ways of fighting bacterial infections. Preventing the untangling of chromosomes during bacterial cell division could be one option. The untangling seems to work in a similar way in most types of bacteria, although the proteins are slightly different from one species to another. So with the knowledge that we’ve acquired in this study, we could either look at developing generic drugs that would target all bacteria equally, or we could also envision going for a specific therapy for specific bacteria. Cells at different stages of differentiation get energy in different ways, a new approach developed at EMBL shows. Life requires energy. The strategy a cell uses to obtain that energy can influence not only how fast it multiplies but also a variety of other processes, like which of its genes are turned on. 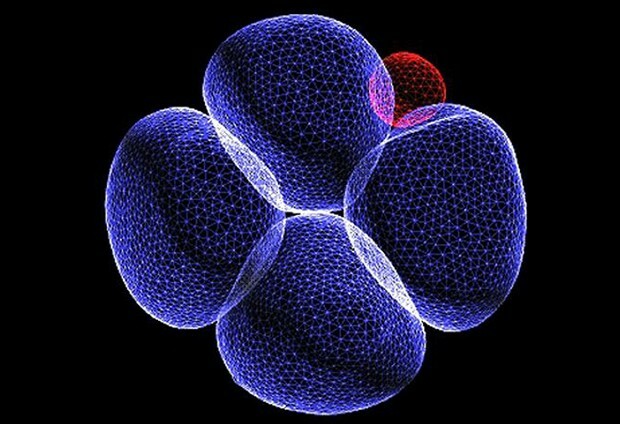 This process – called metabolism – is challenging to track in time and space, so it has not been studied much in developing embryos. Alexander Aulehla shares how, in work published this week in Developmental Cell, his lab is starting to fill that gap. To study energy metabolism during development, we looked at how somites – the parts of the embryo that will eventually give rise to the vertebral column and striated muscles – are formed in the mouse embryo. Somites develop from presomitic mesoderm (PSM). But cells in the PSM don’t all become somite cells at once. The tail bud, at one end of the PSM, contains cells that are still in a stem-cell-like state, while at the other end, cells are differentiating into somites. We found that cells at different points of the PSM generate energy in different ways. Undifferentiated cells in the tail bud showed a higher rate of glycolysis – they get their energy mainly by breaking down glucose. In contrast, cells that are about to differentiate had a higher rate of respiration. And there’s a gradient between these two extremes, with more glycolysis the closer you get to the tail bud. This is one of those projects that was really only possible at EMBL. Vinay Bulusu had an EMBL Interdisciplinary Postdoc fellowship (EIPOD) to work in my lab and Carsten Schultz’s lab. That allowed us to say “let’s try something quite daring: can we visualise pyruvate (an important product of glycolysis) in a mouse embryo?” Working with the Schultz lab, Vinay was able to design a sensor (called a FRET sensor) that measures the amount of pyruvate, not just in cells in a dish, but in an embryo. Then we created a transgenic mouse line that expresses that FRET sensor in all cells and used those mice to analyse pyruvate levels during PSM development using real-time imaging. Thanks to a collaboration with Uwe Sauer’s lab at ETH Zurich, we were also able to use mass spectrometry to directly measure other products of glycolysis, to confirm that there’s a higher rate of glycolysis in the tail bud. It will be exciting to see how others can now use the FRET sensor mouse line in different contexts. The main question this raises is ‘why?’ Why do PSM cells, which all seem to proliferate at a similar rate, get energy in different ways? We have evidence this could be linked to – and even influence – the signaling machineries that control differentiation. A companion study published alongside ours confirms this link and we are now investigating exactly how this happens at the molecular level. “My research and life’s work so far is conservation of indigenous species,” says Chella. She’s a biologist at the University of Zululand in Mangeze, South Africa. She studies a type of sheep — the Zulu sheep — and has mapped out its genome. Chella is fearless around some animals. She’s handled crocodiles, pythons and chameleons, for instance. But her weakness? “I am utterly and completely terrified of moths and butterflies,” she says. When Science News for Students asked for women in science, technology, engineering and math to send us pictures of themselves, we got answers from all aspects of STEM. We received more than 150 responses! They include 18 countries and all seven continents. We’ve put some photos in our feature story on women in science. But we wanted to make sure they all got their chance to shine. So this week, we are sharing their stories. Here are women who are taking on the study of life. Meet our biologists! “I’m a zoologist, and I study invasive species,” says Bagniewska. “These are species that have been brought by humans, accidentally or intentionally, to new places and have become a threat to native biodiversity there.” She works at the University of Reading in England. Milling is a graduate student in ecology and conservation at the University of Idaho in Moscow. She is studying why animals choose to live where they do and the influence of physiology on their behavior and personality. “Knowing how and why an animal uses the habitat and resources it does allows us to make informed and effective wildlife management decisions,” she notes. Now she’s a biologist with the Alaska Department of Fish and Game in Fairbanks. But that’s not all. Nicholson throws pots, kayaks, does traditional Native Alaskan bead work — and has even learned how to breathe fire. It was a 3D puzzle with over 1000 pieces, with only a rather fuzzy outline as a guide. But scientists at EMBL have now put enough pieces in place to see the big picture. In a study* published today in Science, they present their latest findings, bringing the nuclear pore complex into focus. The nuclear pore is a passage into the cell’s nucleus. A typical cell has hundreds of these pores, playing a crucial role in controlling the hundred of thousands of molecules that enter and exit this compartment every minute. Nuclear pores are used by many viruses to inject their genetic material into a host and they are known to change when cells become cancerous, so knowing how they work is important. Scientists understood many of the components of the nuclear pore, but exactly how those building blocks fitted together was unclear. The nuclear pore is composed of three layered rings: a nuclear ring facing the nucleus; a cytoplasmic ring facing the rest of the cell; and an inner ring in between those two. Having already pieced together how the building blocks of the nuclear and cytoplasmic rings are arranged, Martin Beck’s group at EMBL have now worked out the arrangement of the pieces that form the inner ring. 1Structural and Computational Biology Unit, European Molecular Biology Laboratory (EMBL), Heidelberg, Germany. 2Biochemistry Center of Heidelberg University, Im Neuenheimer Feld 328, D-69120 Heidelberg, Germany. 3Department of Chemistry, Chemical Biology and Biomedical Engineering, Stevens Institute of Technology, 507 River Street, Hoboken, NJ 07030, USA. 4Department of Anatomy and Cell Biology, McGill University, Montreal, Quebec, Canada. 5Cell Biology and Biophysics Unit, EMBL, Heidelberg, Germany. Scientists from the Wilmanns group have teamed up with experts across the Deutsches Elektronen-Synchrotron (DESY) research campus in Hamburg and at the SLAC National Accelerator Laboratory in California to show that naturally formed crystals can diffract X-rays. The first crystals successfully analysed with a free-electron laser inside the cells that produced them are unlikely to be the last. Crystallography uses X-rays to probe the 3D atomic structure of proteins that have been captured in their crystalline form, but the technique has its limitations. In a study published recently in the International Union of Crystallography Journal (IUCrJ), the team of Hamburg scientists instead used crystals grown inside yeast cells for crystallography experiments at the Linac Coherent Light Source [LCLS], an X-ray free-electron laser facility. The group studied crystals that occur naturally in parts of the cell called peroxisomes. These organelles break down large molecules such as fatty acids, keeping toxic processes safely within their bounds and away from the rest of the cell. In Hansenula polymorpha yeast cells, a protein called alcohol oxidase breaks down methanol molecules into useful byproducts. While all of these yeast cells have peroxisomes, some cells have more peroxisomes than others, and peroxisome size varies from cell to cell, too. This natural variation posed a problem, as the researchers needed the crystals to be as large as possible, and as similar to each other as possible. The experiment was novel not only for EMBL’s scientists. “This field is its infancy and there are few leading experts worldwide,” says Wilmanns. “We teamed up with the Coherent Imaging Division at the neighbouring Center for Free Electron Laser Science (CFEL) at DESY and University of Hamburg, and benefited from the considerable experience and expertise of division Director, Henry Chapman and his group” he adds. Having shown that it is possible to get data from crystals within a cell, the group now hopes to harness the natural ability of the peroxisome to produce crystals of other proteins, thereby side-stepping the need for laborious crystallisation experiments. 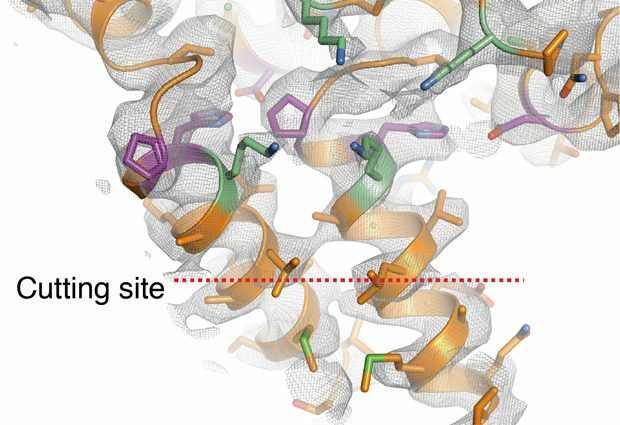 “This could become a complementary method for structural biologists studying challenging proteins,” Wilmanns concludes.